Kevin C.J. Yuen, MD, FRCP (UK), FACE, is professor of medicine and medical director of the Pituitary Center at the Barrow Neurological Institute in Phoenix, Arizona. His expertise includes clinical and research interest in managing hypothalamic-pituitary and adrenal disorders (particularly in adults with growth hormone deficiency), acromegaly, Cushing’s disease and adrenal insufficiency, and he is interested in neuroendocrine disorders in young adult cancer survivors and adults with traumatic brain injury. 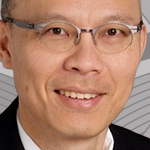 Dr Yuen is active in international collaborative studies and widely published, has authored several book chapters, serves on various medical committees, and frequently speaks on topics related to pituitary disorders. He received his MD from the University of Sheffield, United Kingdom. Beverly M.K. 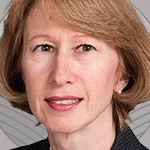 Biller, MD, is a professor of medicine at Harvard Medical School (HMS) and a faculty member of the neuroendocrine unit at Massachusetts General Hospital (MGH) in Boston, where she directs the clinical fellowship in adult endocrinology and metabolism. She also directs the annual HMS and MGH Department of Continuing Education postgraduate course “Clinical Endocrinology”. Dr Biller’s major research interests include the pathogenesis, diagnosis and treatment of Cushing’s disease, acromegaly, prolactinomas, other pituitary tumors, and growth hormone deficiency in adults. She is on the AACE Task Force to Update the Growth Hormone Guidelines, the Endocrine Society’s Committee on Diversity and Inclusion, and is membership chair of the Growth Hormone Research Society. 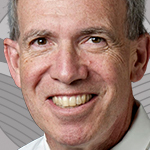 Andrew R. Hoffman, MD, is professor and senior vice chair for academic affairs in the Department of Medicine at Stanford University School of Medicine in California and is the chief of endocrinology at the VA Palo Alto Health Care System. His laboratory research focuses on examining epigenetic mechanisms of gene expression and studying the role of insulin-like growth factors (IGF) and growth hormone in normal physiology and in cancer development. His studies have implications for the therapeutic use of growth hormone and IGF in development and in the clinical consequences of aging. Dr Hoffman is involved in clinical projects studying the natural history of bone health in elderly men, the role of testosterone replacement in middle-aged men, and neuroendocrine function in aging. Growth hormone deficiency (GHD) affects more than 50,000 adults in the United States, with 6,000 new cases are reported each year (1). These cases include the continuation of child-onset GHD into adulthood and those caused by damage to the hypothalamic-pituitary axis. While adult onset GHD has been predominantly associated with oncologic causes and their treatment, an increasing number of adult GHD cases have been reported following traumatic brain injury (TBI). TBI represents a leading cause of death and disability in the United States (2) and greatly expands the number of patients at risk for GHD following motor vehicle accidents, falls, sports-related head traumas, combative sports, and veterans returning from combat service. Adult GHD usually manifests as reduced physical performance and impaired psychological well-being. If left untreated, GHD can lead to insulin resistance, increased visceral fat, altered lipid metabolism, all of which contribute to increased cardiovascular morbidity and mortality rates. Patients with untreated GHD also exhibit reduced muscle, lean body mass, and bone mass. GHD, has been linked to diminished quality of life including reductions in mental and physical energy, dissatisfaction with body image, depression, and poor memory (3,4). The growing number of patients at risk for GHD and potentially serious clinical consequences of untreated adult GHD underlines the need for education among a broad spectrum of healthcare providers to ensure appropriate and timely diagnosis and treatment of GHD. The intended audience for this activity consists of endocrinologists, primary care providers, neurologists, and psychiatrists. The American Association of Clinical Endocrinologists (AACE) designates this live activity for a maximum of 1.0 AMA PRA Category 1 Credit(s) ™. Physicians should claim only the credit commensurate with the extent of their participation in the activity. The American Association of Clinical Endocrinologists (AACE) designates this enduring material for a maximum of 1 AMA PRA Category 1 Credit(s) ™. Physicians should claim only the credit commensurate with the extent of their participation in the activity. This educational activity is supported by an educational grant from Novo Nordisk Pharmaceutical Company. There are no fees to participate int his activity. To receive credit, participants must (1) read the target audience, learning objectives, and disclosure statements, (2) complete the educational activity online, and (3) complete the post-test and activity evaluation. To receive AMA PRA Category 1 Credits™, participants must receive a minimum score of 75% on the post-test. This activity consists of one session which should take approximately 1 hours to complete. It is the policy of AACE to ensure balance, independence, objectivity, and scientific rigor in all of its CME activities. Presentation content may include discussion of an unlabeled use of a commercial product or an investigational use of a product not yet approved for any purpose. AACE requires that participating faculty disclose to the audience any product(s) and its use(s) discussed in the educational activity that are unapproved/unlabeled for the use by the FDA or still considered investigational in nature. Everyone who is in a position to control the content of an educational activity must disclose all relevant financial relationships. “Relevant financial relationships” are financial relationships in any amount occurring within the past 12 months that create a conflict of interest. AACE requires speakers, faculty, CME Committee, and other individuals who are in a position to control the content of this educational activity to disclose any real or apparent conflict of interest they may have as related to the content of this activity. All identified conflicts of interest are thoroughly evaluated by AACE for fair balance, scientific objectivity of studies mentioned in the presentation, and educational materials used as basis for content, and appropriateness of patient care recommendations. The intent of this disclosure is not to prevent a speaker with commercial affiliations from presenting, but rather to provide learners with information from which they may make their own judgments. Informed learners are the final safeguards in assuring that a CME activity is independent from commercial influence. AACE has reviewed all disclosures and resolved or managed all identified conflicts of interest for this educational activity, as applicable. Dace L. Trence, MD, FACE 1.Medtronic, Inc. The American Association of Clinical Endocrinologists (AACE) planners and managers have nothing to disclose. The PlatformQ Health Education, LLC planners and managers do not have any financial relationships or relationships to products or devices with any commercial interest related to the content of this activity of any amount during the past 12 months. This activity is provided by the American Association of Clinical Endocrinologists (AACE). Program management services provided by PlatformQ.